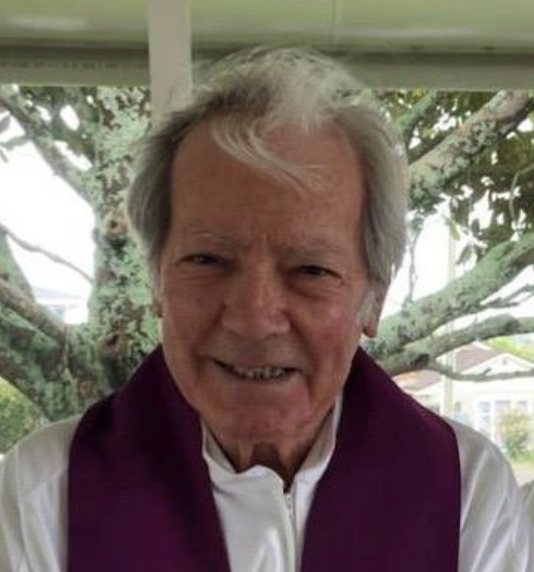 It is with great sadness that 186 of us diocesan priests gathered in Christchurch learned this morning of the death of one of our brothers, Monsignor Pat Ward of the diocese of Auckland. Pat had arrived in Christchurch to take part in the Assembly, but was admitted to hospital just before the opening of our gathering. In other posts you will read of the fraternity of the gathering, but Pat’s death focusses us on the reason for our meeting and the purpose of all priestly ministry. We are made by God and for God, and our hearts are restless until we are reunited with God. Please join us in praying that Pat, a wise, good and holy priest, may share now in the fulness of life with Jesus Christ which he proclaimed by word and deed in his priestly ministry. Grant, we pray, O Lord. that the soul of Patrick your servant and Priest. may exult for ever in the glorious home of heaven. 6 Responses to "Msgr. Pat RIP"
+ May he rest in peace and rise with Christ in glory. A wonderful Old Boy of Sacred Heart College in Auckland and Chaplain to the Old Boys Association. Rest in peace. Rest in the peace and love of Christ Monsignor Ward, Priest forever. Condolences to you all in the loss of your brother Msgr. Patrick Ward. May he rest in peace. It is lovely Godincidence that his body gave birth to his soul at this time of new adventure.